Tackling the dirty windows around your home might seem like a quick chore, taking up no more than an hour or two but a proper Lunenburg window cleaning takes time and care. 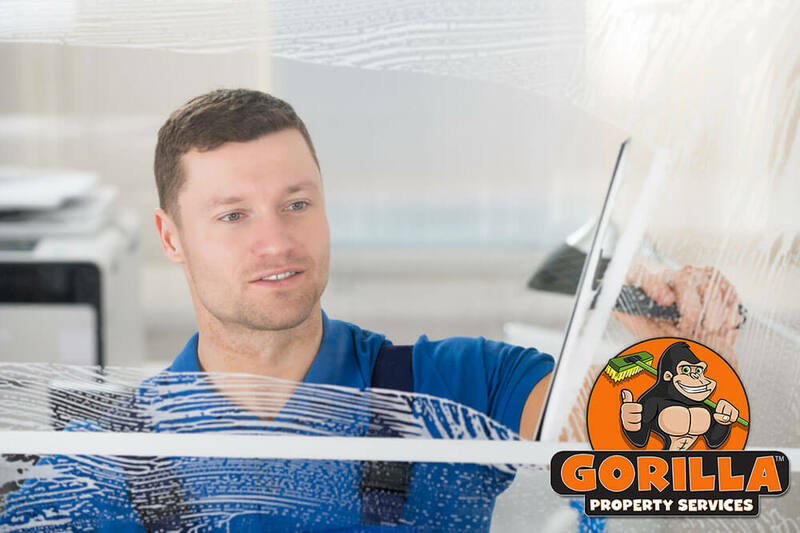 Wiping away a bit of surface dust is not enough to get your windows thoroughly cleaned, but our Gorillas can show you how to get the job done right. 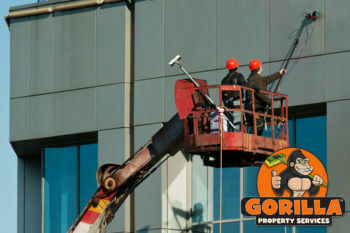 All it takes is one phone call to our Gorillas to get the ball rolling on your Lunenburg window cleaning. Taking cloth or towel to your windows, you might wipe away spots and streaks temporarily but there is more to the health of your windows than just the glass itself. Much like the rest of the exterior walls of your property, your window sills and frames are always fighting off the elements. 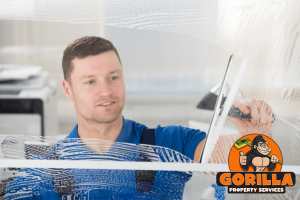 If you keep your cleaning solely to the glass itself, you invite other issues in as well. If materials around this area begin to break down, it invites softened materials, leaks, mould and drafts. 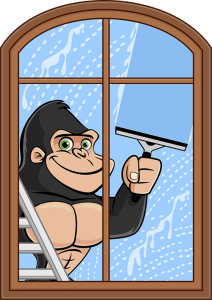 Our Gorillas have a keen eye for problem areas, so there is no area forgotten during your Lunenburg window cleaning. Although windows feel hard to the touch, they are a porous material. 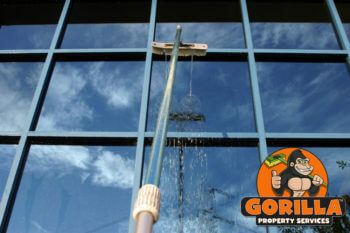 It is easy for dust, dirt and debris to build-up against the surface of your windows but getting it off can be tough. The longer that foreign materials are allowed to sit down against your windows, the greater the chance that they will begin to seep into the pores, causing damage from the inside out. 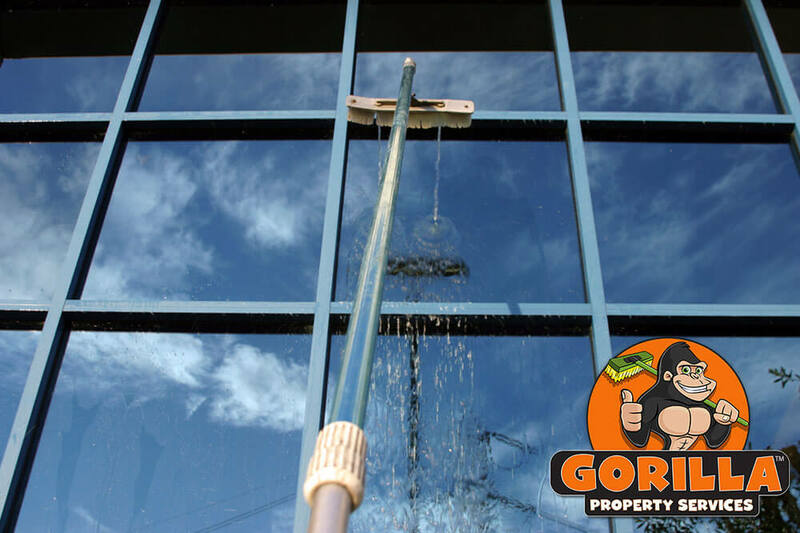 Instead of waiting for a minor inconvenience to become a big headache, call our Gorillas to take the sting out of your Lunenburg window cleaning. By using eco-friendly cleaning solutions as well as rubber squeegees, our Gorillas bring the best results for your Lunenburg window cleaning with the least amount of waste possible. In addition to eliminating paper towel waste, rubber tools eliminate static charge brought on by friction. This keeps windows looking cleaner, longer. 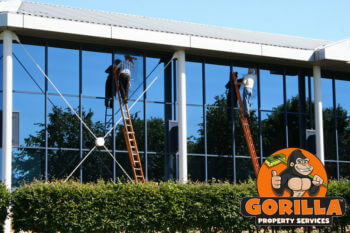 For those hard to reach places, such as high windows, our Gorillas use water-fed poles and a mobile water source. 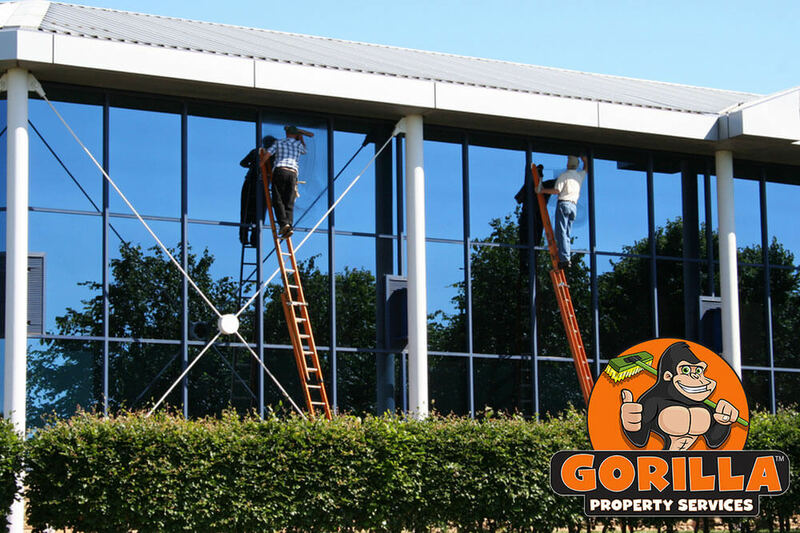 There is no spot or streak that our Gorillas can’t reach – as long as they are four storeys or under.